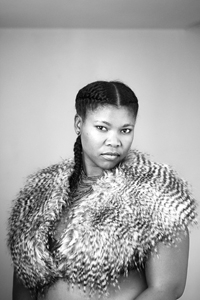 Gallery artist Zanele Muholi presents an installation of 48 portraits from her acclaimed Faces & Phases series at the 2013 Carnegie International survey of contemporary art, opening October 5 at the Carnegie Museum, Pittsburgh. Muholi was also recently named a 2013 Prince Claus Award laureate, in recognition of her outstanding achievement in the field of culture and development. The awards are presented annually to 11 individuals or organizations whose cultural actions have a positive impact on the development of their societies. A solo exhibition of Muholi's work is on display at the Prince Claus Fund Gallery, Amsterdam, through November 22. Works by Muholi are currently on display in the South African pavilion at the Venice Biennale, through November 24 and in SubRosa: The Language of Resistance at the University of South Florida Contemporary Art Museum, Tampa, through December 7.